Preparing your own income tax return can be a task that leaves you with more questions than answers. According to a recent study released by the US Government’s General Accounting Office, most taxpayers (77% of 71 million taxpayers) believe they benefited from the tax preparation services of an accounting or tax professional. Whether we like it or not, today’s tax laws are so complicated that filing even a simple return can be confusing. It is just too easy to overlook deductions and credits to which you are entitled. Even if you use a computer software program there’s no substitute for the assistance of an experienced tax professional for the preparation of an accurate return. We will check and recheck your return using our experience and aided by computer software to identify potential problems the IRS may flag to review more closely. We can file your tax return electronically at no extra cost to you for faster processing. If you are owed a refund you will get it more quickly. If necessary we will show you how to adjust your payroll withholding to get more money back each week. Why give the IRS an interest free loan for up to 16 months. We will show you potential deductions to limit your tax liability for next year. 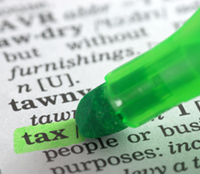 In addition, we can show you commonly overlooked deductions to limit your next year’s tax liability. Our firm is located in Astoria, NY, but we are not limited to preparing only local tax returns; no matter the state and/or territory of the U.S. we can prepare your return. We will file any filing extensions for Free. ■ Information Returns – we can help prepare your Forms 1099/1096 and W-2/W-3. ■ We can electronically file your business returns at no additional cost. ■ We will file all your extensions of time to file for Free. If you own a small business and haven’t kept up your bookkeeping, don’t worry. We can help you. We’ll prepare your bookkeeping for the year to then prepare accurate business income tax returns, as well as your personal income tax return. We have a full charge bookkeeping division that can provide you with monthly or quarterly bookkeeping services at a very reasonable cost or we can train you and/or your staff in QuickBooks to keep your books in tip-top shape next year.